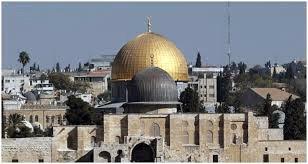 AMMONNEWS - Saudi Arabia's Ambassador to Jordan, Prince Khalid bin Faisal bin Turki, Monday confirmed his country's full support for the Hashemite custodianship over the Islamic and Christian sanctities in Jerusalem. During a meeting with the president and members of the "Jordanian Women Parliamentarians Forum", the ambassador also reiterated the Saudi full support to the Palestinian issue, stressing that Jerusalem is the eternal capital of Palestine. In the meeting, which was held at the Saudi Embassy in Amman, the ambassador briefed the participants on his country efforts to empower women in the Saudi society, and other steps taken to support women's rights in all walks of life. "Some 30 women were appointed in the Kingdom's Shura Council which consists of 150 members", he added. Key aspects of Saudi Arabia 2030 vision stress that Saudi women are important elements in the society that must be given full opportunities to enable them to engage in the country's debates, discussions and dialogues at all levels in order to be partners in the decision-making process . The ambassador also highlighted his country's Foreign Ministry new initiative to appoint Saudi women as diplomats and other leading positions to represent their country abroad. Bin Turki outlined his country's full support to Jordan to help it overcome economic challenges, pointing to projects that have been implemented and other ventures to be completed in the near future. "The distinguished Jordanian- Saudi relations are based on common goals and views and deep-rooted principles of trust and mutual respect established by the leaderships of the two brotherly countries, the President of the Jordanian Women Parliamentarians Forum, Sabah Al-Shaar said. Al-Shaar called for raising the level of cooperation between the two countries and activating the partnership between the forum and women in the Saudi Shoura Council. The meeting also aimed to extend an official invitation to women members of the Shoura Council to visit Jordan and exchange parliamentary experiences related to legislation, supervision and to boost relations in all fields, she added.